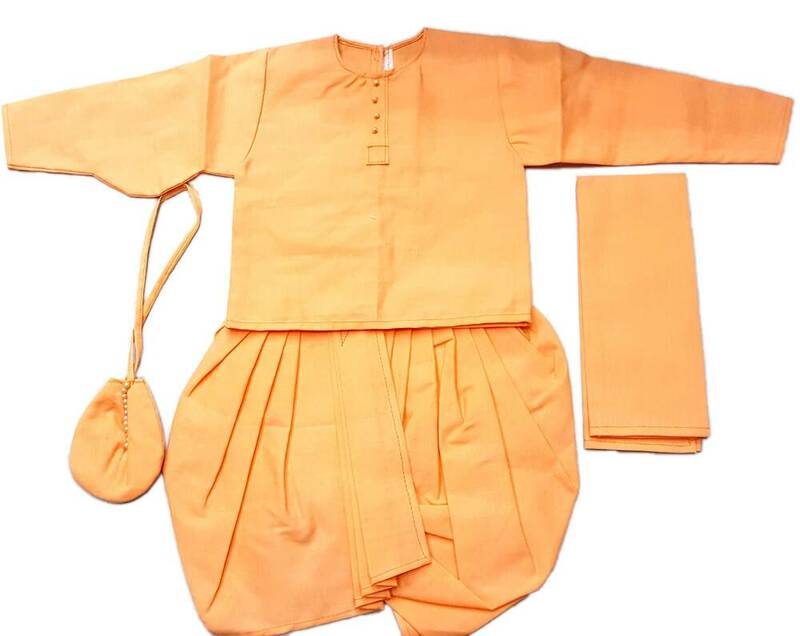 Prabhupada clothing set for 10 inch (25.4 cm) murti. Four pieces including Srila Prabhupada's kurta, the piece of cloth that goes over his shoulder, his dhoti and his bead bag. This is in saffron colored cotton.